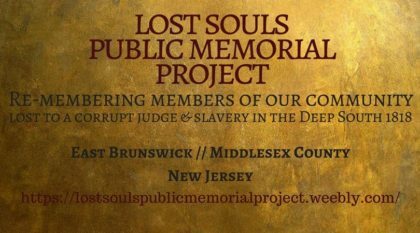 We continue our efforts to build a public memorial to the nearly 100 souls lost to permanent slavery at the hands of a corrupt Middlesex County judge in 1818. We will be talking about how to go forward with the design of the memorial, as well as making action plans for increasing community visibility for the project. All are welcome who want to see this project to fruition.